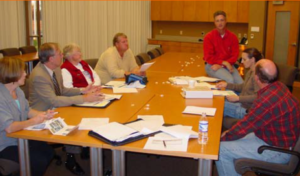 The KASH Playground project was first initiated by a group of 6 individuals participating in Leadership Portage County program (a community based program designed to develop and foster future leaders within our community). During the initial phases of the class project the group realized the need to make this playground a reality. The group conducted a needs analysis for special needs playground by meeting with health and human services, education, health care and government officials. 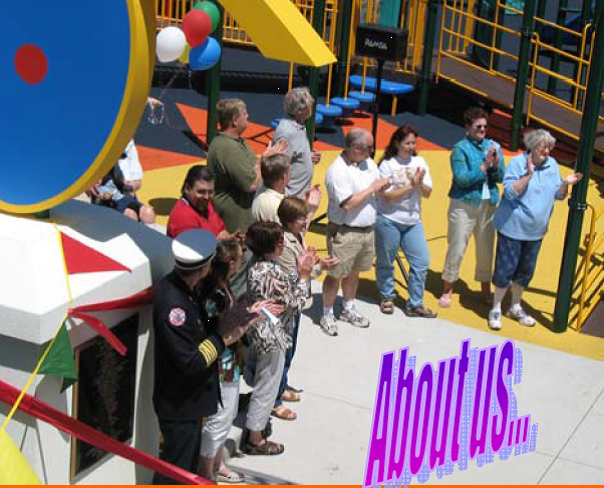 The diverse group working on KASH Playground project is comprised of volunteers and leaders from education, health care, business, and government sectors. 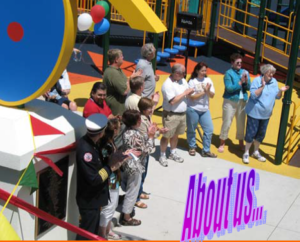 Each individual brings a wealth of knowledge and experience in the need as well as the impact an accessible playground can have on our community. This group has worked closely with the Stevens Point Parks Department and City Council, which have unanimously agreed on the need and approved of the playground in Stevens Point. Kareen Everman served as board chair of KASH Playground. Her son Brett was disabled in a car crash in 1997. Her son, along with 1,000 other special needs children and families in our community did not have a playground for which the children could meet and play with other children, regardless of ability. Dave Kievet of Boldt Construction served as campaign chair, as well as Linda Danielski project manager of the Boldt Company. They successfully managed the project and coordinated the build. A huge part of the success of KASH playground was due to a partnership with Portage County Health & Human Services Employees’ Foundation. The Foundation served as fiscal agent, providing credibility to the project and 501 © 3 legal status. All donations to KASH playground were tax deductible. We are long-time residents of Plover who visited KASH for the first time recently with our grandchild. What a great, varied-activity playground for children of all ages and abilities. Our young charge especially liked the huge sandbox. Today he is coming from Wausau with his family to further enjoy the playground. We appreciate the local vision that made this project possible, and would like to help sustain it. Please contact us.